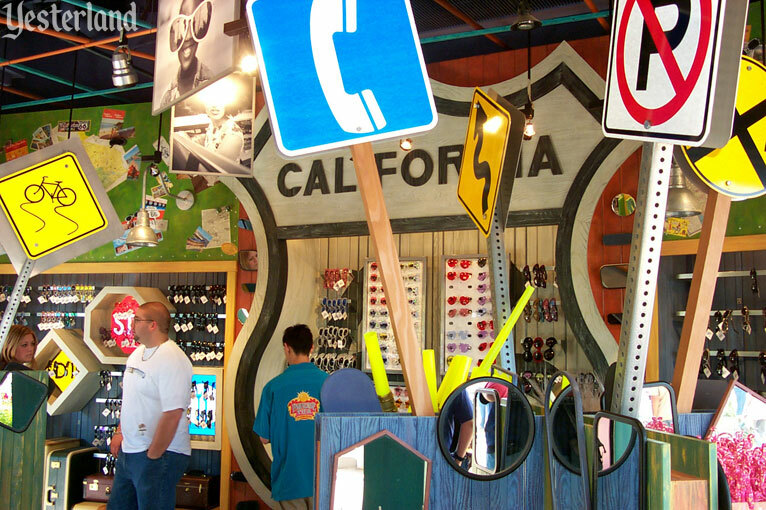 Who says that California Adventure only has imitations of things that California is known for? There’s something at California Adventure that’s the “real deal.” It’s 100% genuine, and it’s up in the sky, shining brightly onto the park—the California sun. 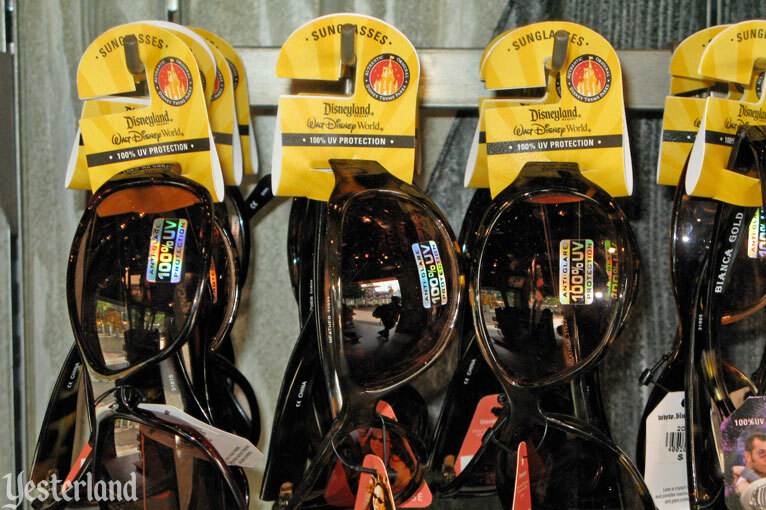 It’s a good idea to protect your eyes from the intense sunshine. 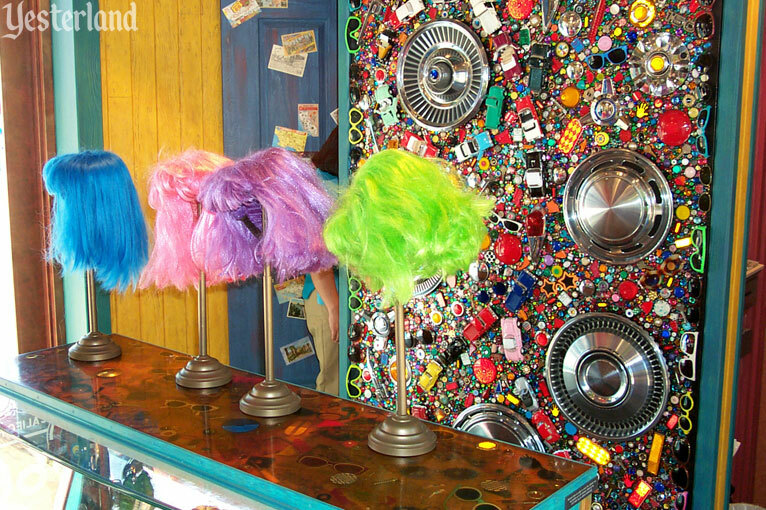 So head over to Dinosaur Jack’s Sunglass Shack. 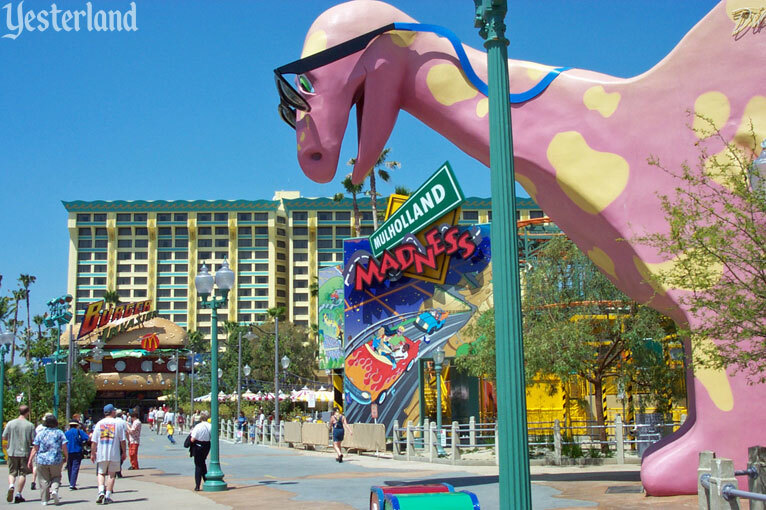 Look for the smiling, 33-foot-tall, pink Apatosaurus with the yellow spots. If you’re a baby boomer, you probably know this type of dinosaur as a Brontosaurus. 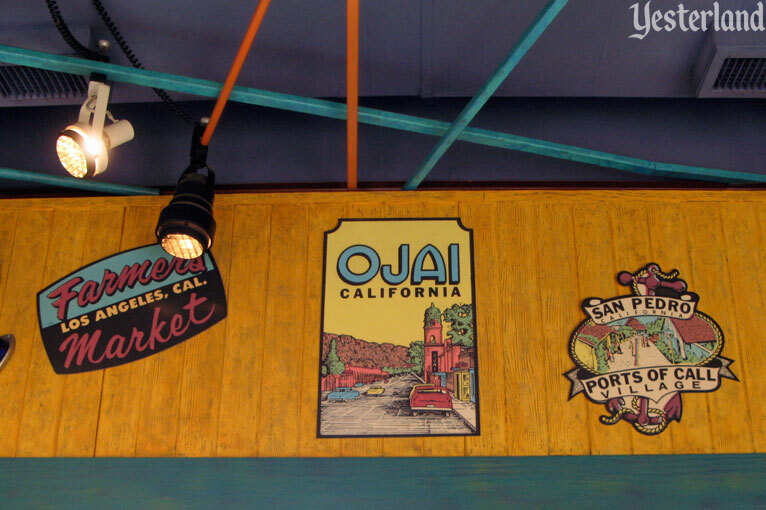 The fascia has vintage-look signs advertising other California attractions. Okay, maybe the interior doesn’t make you feel as if you’ve gone back to Route 66 in the era before Interstate highways. But consider buying some sunglasses anyway. 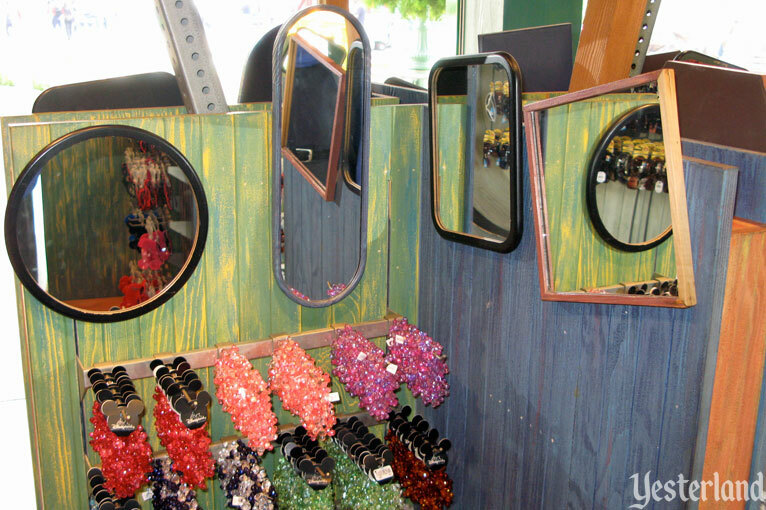 Try on those cool shades and see how cool you look in the collection of mirrors. 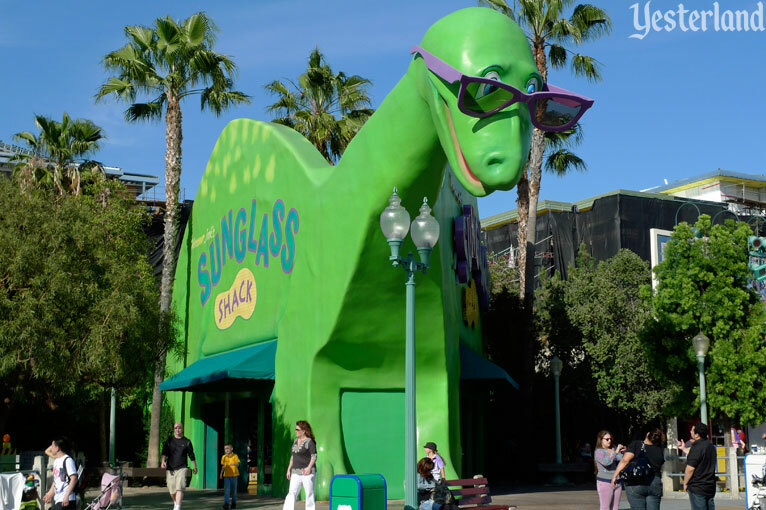 Dinosaur Jack’s Sunglass Shack was one of the original shops at Disney’s California Adventure when the park opened in February 2001. 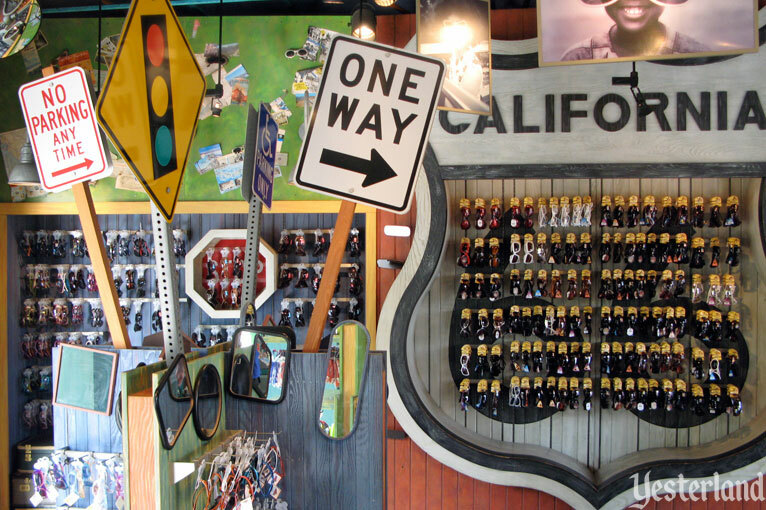 The Sunglass Shack, Souvenir 66, Corn Dog Castle, Mulholland Madness, and Burger Invasion were the main features of the Route 66 section of Paradise Pier. 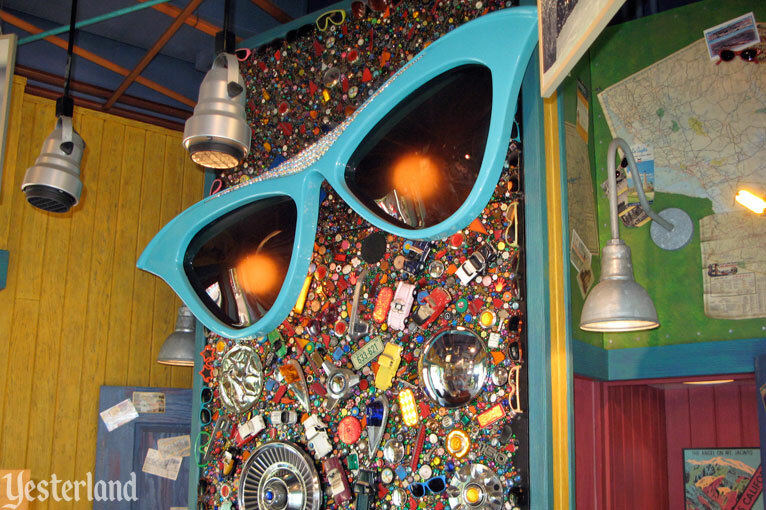 Unfortunately, the Sunglass Shack didn’t come across as a nostalgic nod to the past. 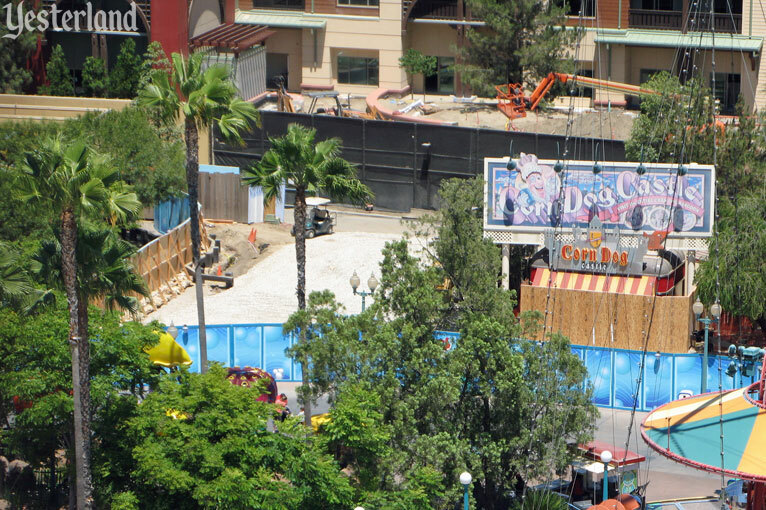 For that matter, the Route 66 corner of Paradise Pier didn’t look like a highway either. 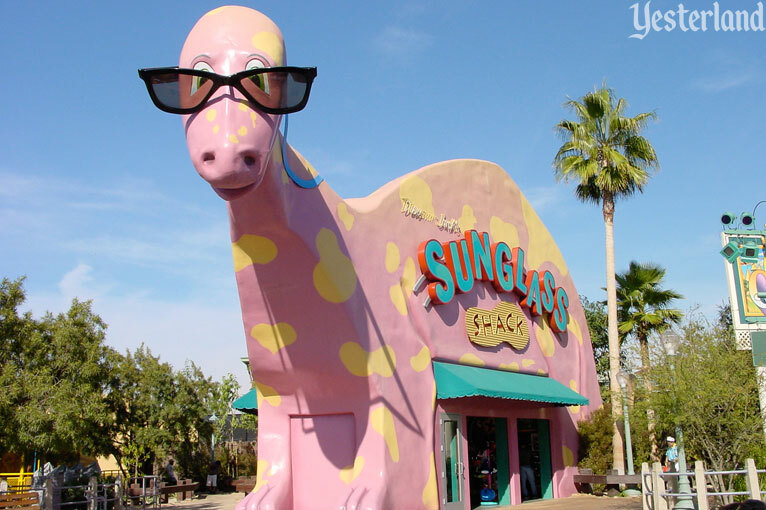 The Sunglass Shack didn’t look like a real Apatosaurus. That was on purpose. 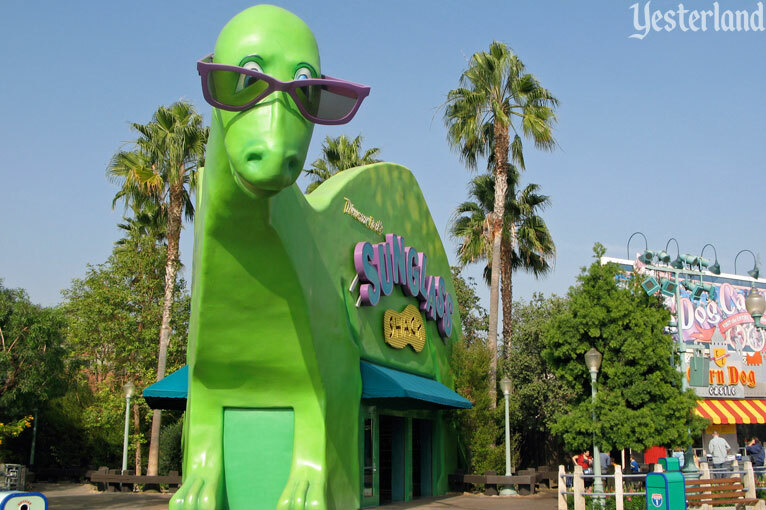 Unlike the dinosaur structures that sculptor Claude Bell created along Interstate-10 in Cabazon after retiring from Knott’s Berry Farm, the Sunglass Shack was not supposed to be proportioned and shaped like a real dinosaur. 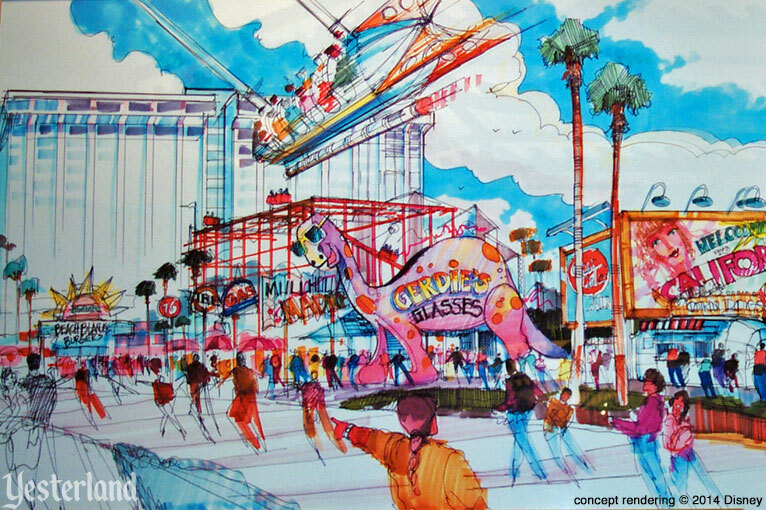 It was meant to evoke California’s “programmatic roadside vernacular architecture,” which gave California buildings shaped like a giant dog, frog, owl, doughnut, or other non-traditional building shapes, designed by people who weren’t trained architects. 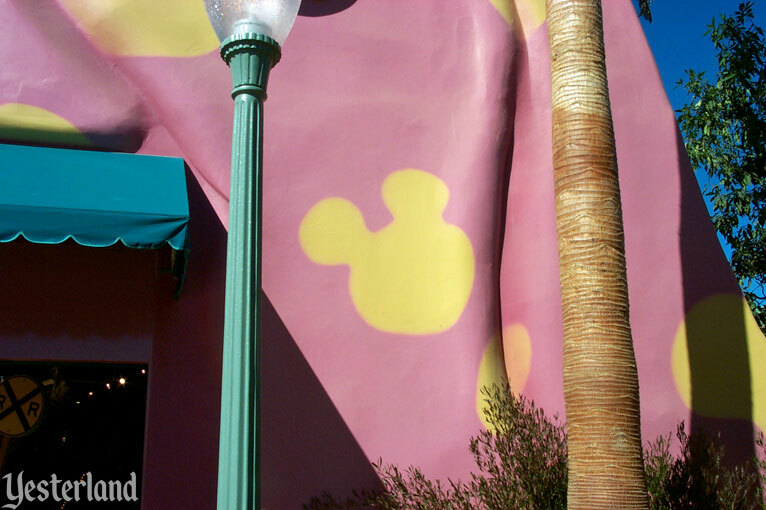 In October 2006, the pink dinosaur became a green dinosaur, thanks to a fresh coat of paint. Along with the new color, the dinosaur’s spots changed from something that looked like a skin condition to something that looked like large freckles on his back. The side of Sunglass Shack facing Corn Dog Castle had an illuminated sign. The side of Sunglass Shack facing Mulholland Madness had a painted sign. 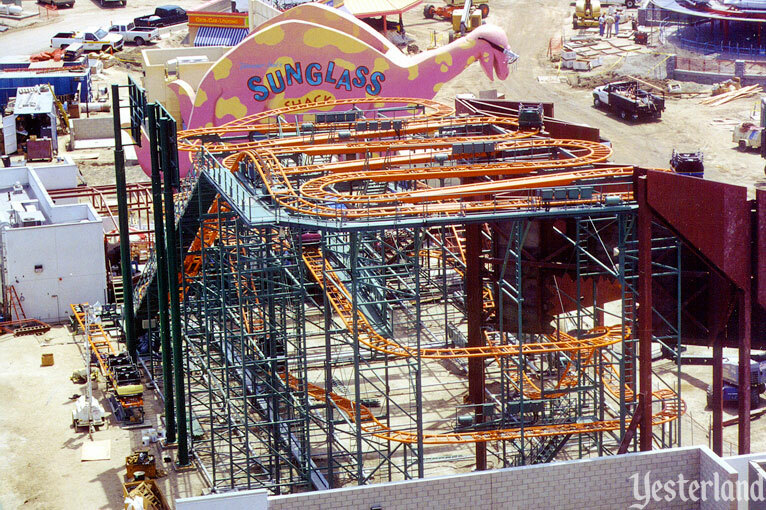 In late May 2009, the bright green dinosaur was penned in behind a construction wall. 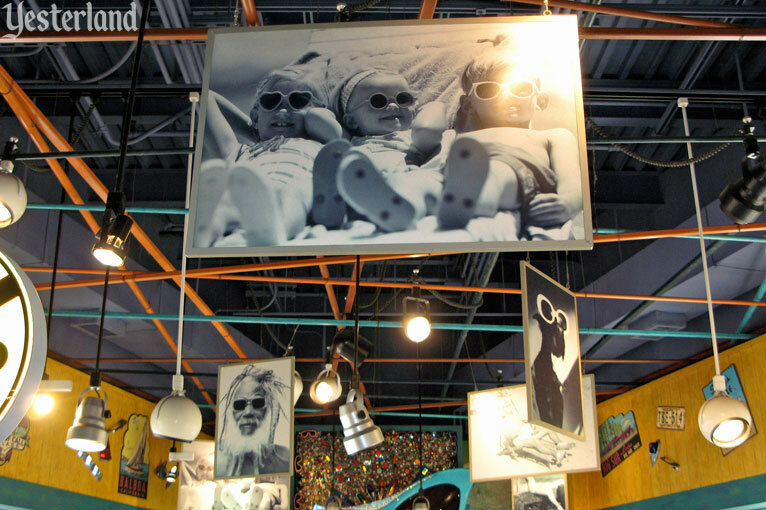 Dinosaur Jack’s Sunglass Shack closed permanently. Although its neighbors would be refreshed and reused, the dinosaur was demolished. The shores of Paradise Bay were on their way to becoming a charming, Victorian style seaside amusement resort, and a garish roadside dinosaur didn’t belong there. 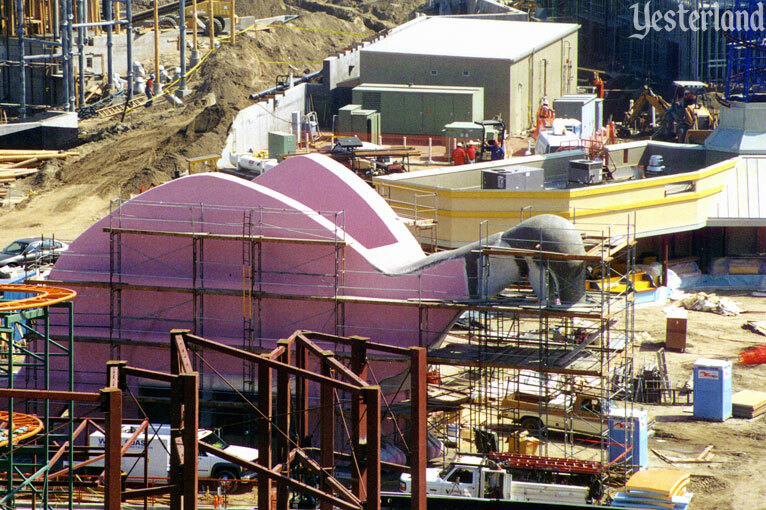 At another Disney theme park, another dinosaur-shaped building has been around since 1989. 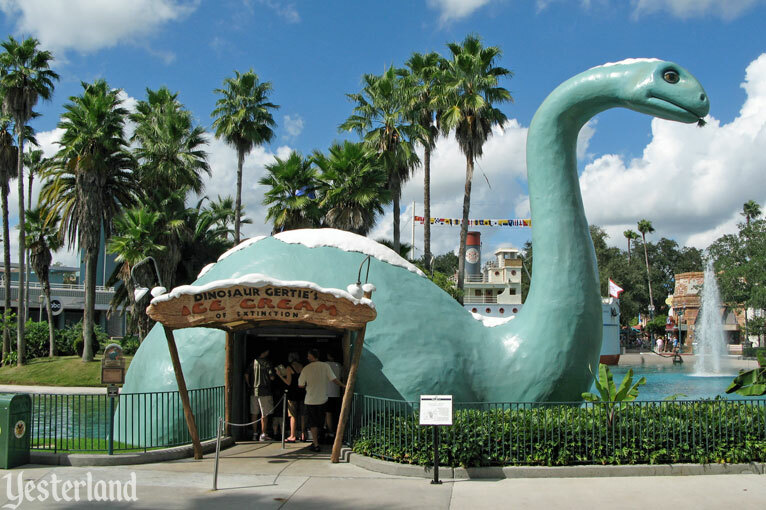 It’s the much more agreeable Dinosaur Gertie’s Ice Cream of Extinction at Disney’s Hollywood Studios. 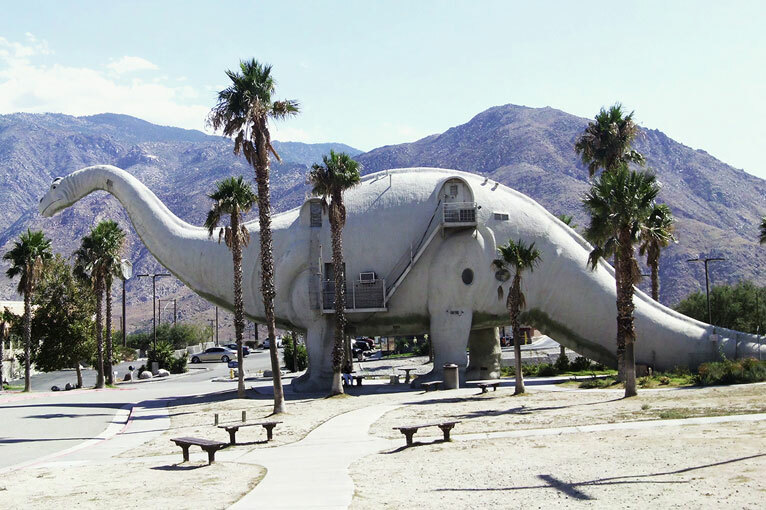 Gertie is not only a tribute to California’s “programmatic roadside vernacular architecture,” but also to Winsor McCay’s 1914 animated Gertie the Dinosaur, a short subject that inspired Walt Disney and other artists of his generation to pursue film animation.